Secretary of State Mike Pompeo said the U.S. would impose the "strongest sanctions in history" on Iran, and take any steps necessary to keep the regime from acquiring nuclear weapons, in a speech intended to lay out "the path forward" after President Trump withdrew the U.S. from the Iran nuclear deal. Why it matters: The list Pompeo laid out for any potential new agreement was long and, under current Iranian leadership, entirely unrealistic. Pompeo is trading in a policy of dealing with Iran in a limited capacity for one of applying maximum pressure to increase costs on the regime and, potentially, lead to regime change. 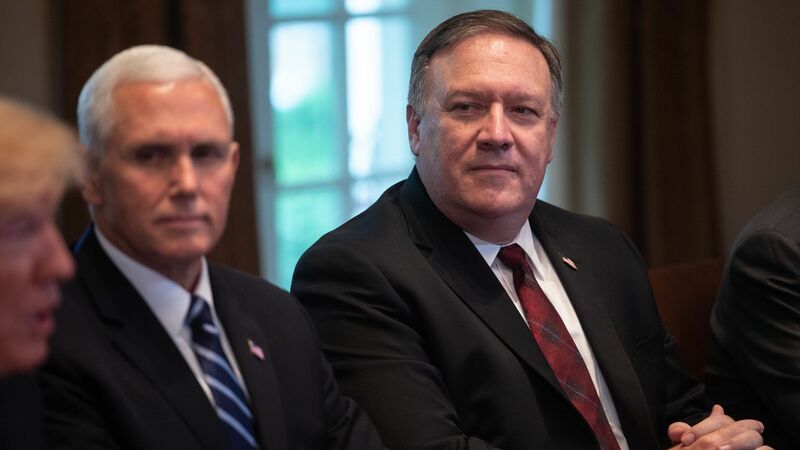 What they're doing: Pompeo said sanctions were coming back into force, and new ones would be added, and the U.S. will work with allies to contain Iran in the region. Iran must give a full accounting of past nuclear activities, stop all enrichment, and allow the IAEA access to all of its nuclear sites. Iran must stop its ballistic missile program, and end support for groups including Hamas, Hezbollah, Houthi rebels and the Taliban. Iran must dial back its aggressiveness in the region, and release all U.S. and allied prisoners. The bottom line: Europe's hopes of preserving the economic benefits Iran was getting under the current deal look all but impossible, given the framework Pompeo laid out today. He's not willing to accept limitations on the threat from the Iranian regime, he wants that threat removed entirely — a point underlined by his repeated exhortations for the Iranian people to challenge their leaders.